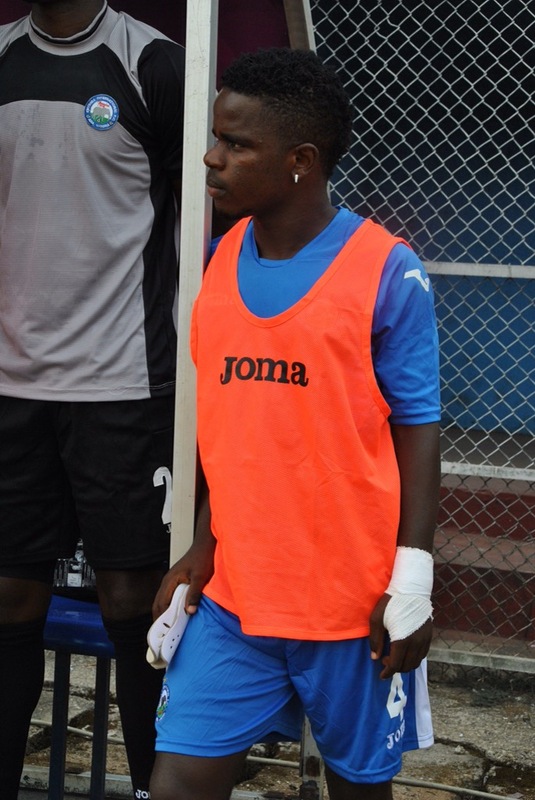 Against Buffles, Kadiri Ikhana did not surprise with his preference for a 4-4-2 a formation he loves playing at home. Virtually every player choice he made seemed logically right and appeared to be the best decision in the circumstance. In goal, Chijioke Ejiogu who inarguably is the best goalkeeper we have in the team took his place. Femi Thomas who I also agree is the next in line made the bench. Moses Ocheje and indeed Paul Godwin will have a lot to do to get in the side considering what we have seen so far. At Left Back, new signing Idris Aloma took the place of the more experienced Ugwu Uwaediegwu and again that was justified. Idris Aloma is fitter and from the games we saw him play at the Super-4 he offers so much going forward as well as defending. Most of the corner kicks from the right were all his. One remarkable contribution was clearing a goal off the line. Keeping Emma Anyanwu and Chinedu Udoji as the Center Back pairings was an easy decision even though El Kapito seems to be struggling for pace nowadays. His aggressiveness and leadership plus Anyanwu’s spot on positioning and impeccable reading of the game meant that the two were the best pairings possible at Center back. Again, they have played together severally and they understand each other perfectly. Bright Esieme at Right Back raised some eyebrows but judging from the fact that Ojobo is match rusty haven played very little and the fact that he got injured in training on Thursday would justify that selection. Bright would get the assist for our second goal. Kamal Sikiru played in the holding role- the defensive midfield position. He ranks behind our three other DMs- Rasheed Olabiyi (match rusty), Chima Uluocha (injury) and Razak Aliyu who though named in the starting XI was pulled out just before kickoff due to a small injury in warm up. Sokari Kingsley was picked ahead of Nzube who made the bench. He was to be creative hub of the team but whilst he did his best, he always had two men closing down on him in the course of the game. However we became even more dangerous in the second half when Nzube joined him and Nonso Okonkwo was pushed to the right. Good awareness and anticipation for that very late second goal. Etor Daniel and Andrew Abalogu manned opposite wings and switched flanks constantly during the game especially the first half. Both are tricky and quick players and we saw how they influenced our attacks, joining when they could. Ezekiel Bassey was an option on the bench but the experience of Etor and Abalogu coupled with their understanding of their teammates mean that the new signing Bassey might not have influenced the game as effectively. Bassey’s time will come surely. Peter Onyekachi and Chinonso Okonkwo led the line for Enyimba and kept the visitors on their toes through out the game. With the ‘twin’ strikers in our attack, you can be rest assured of pace, power and directness. Although their decision making in the key areas leaves a lot to be desired but these two will terrorize defenses this season. The 4-4-2 formation was dumped in the second period when Nzube was brought on, and Enyimba switching to a 4-3-3 style. This put more bodies in the middle and we had better possession of the ball. Also subbing Etor (and not Nonso Okonkwo) for Anaezemba paid back in the end with the striker crossing an inch perfect cross whoch Peter simply glanced in. Previous postSolid trampling over Buffles. Next postDo you believe in Football juju? Thank you bro. Una try too.